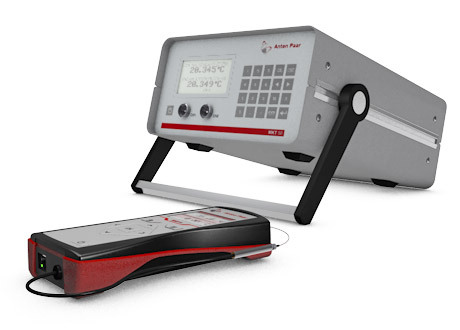 The high-precision thermometers from Anton Paar are designed for the most accurate temperature measurements, comparison calibrations and fixed point calibrations in industry, laboratories and research. 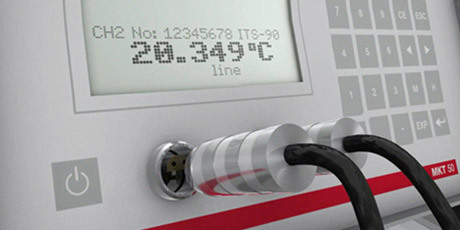 Combined with calibrated platinum resistance thermometers, Anton Paar's thermometers achieve a measuring uncertainty of 10 mK or less. Anton Paar’s Millikelvin Thermometers come at a compact, portable size for convenient operation and flexible use according to your needs. 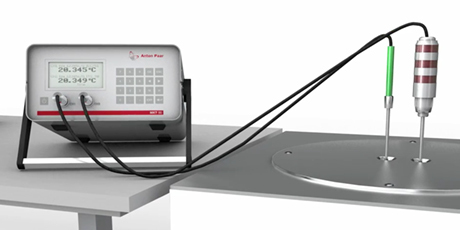 Anton Paar produces the world’s most accurate density meter – and the cornerstone of accurate density measurement is precise temperature measurement. Anton Paar’s Millikelvin Thermometers are the high-quality result of these decades of experience, relied upon by many officially accredited calibration laboratories. 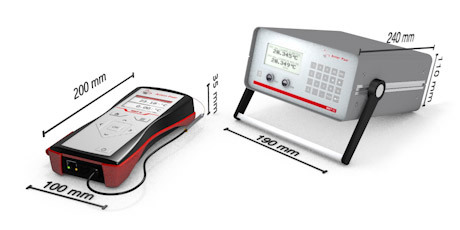 You have several options for employing the high-precision thermometers: Use it in the lab and connect it to the mains or use it in the field, as a portable battery-powered unit. 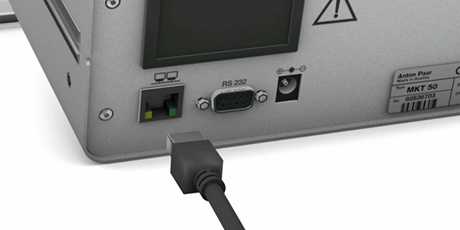 Simply take the accuracy wherever you need to go. 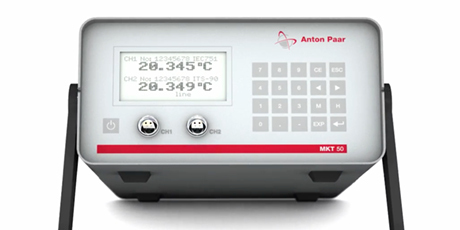 Combined with one calibrated platinum resistance thermometer, Anton Paar’s Millikelvin Thermometers are an ideal calibration tool for various Anton Paar instruments like the DMA™ M density meters and SVM™ viscometer series. The units are easily connected to your LIMS. 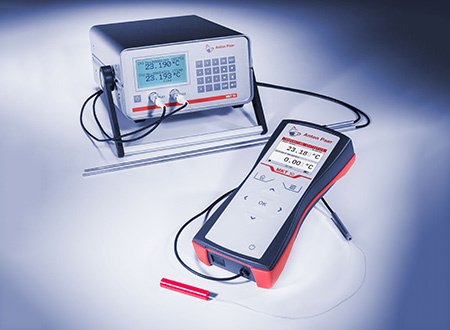 The high-precision thermometers are perfectly designed for different applications, from temperature measurement in the production process to a range of calibrations in the lab.